Is it a Party with Tea or a Tea Party? Great job! That was a wonderful, comprehensive article and exactly what I think a tea party menu should consist of. However, I’m curious what you think of the tea parties in Tracy Stern’s “Tea Party” book. Personally I thought her ideas had very little to do with tea parties at all; they were more just parties in general. 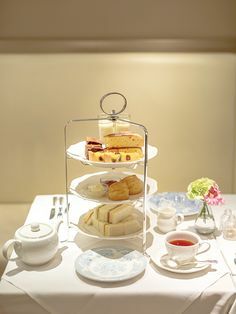 My biggest issue when planning a tea party menu is that there are so many recipes I want to try. It is hard to narrow down my selections. First of all, I can certainly relate to wanting to include so many recipes while planning a tea party! 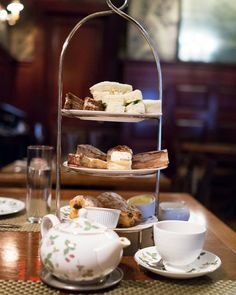 I think along with a couple of points I mentioned in the article (we have to consider our time and money budgets) we also can plan our tea event around a theme. This can help narrow down and specialize your event’s menu. I find the tea information in the Introduction spot-on. I appreciate that she explains how to brew loose leaf tea, tea etiquette, and how to store tea properly. She also leads the hostess through a “Throwing the Tea Party” primer. Themed tea parties are quite fun and she gives lots of options. She’s included parties for gentlemen and children, as well as parties for different times of day. 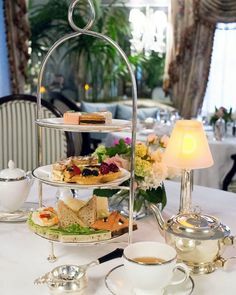 Tracy Stern’s Tea Party book helps break down the stereotype I addressed in a recent article, “Aren’t Tea Parties for Retired Ladies in Red Hats?”. She shows that tea can be chic, fashionable, and fun. I do agree, however, that her menus could be more Tea Party focused, i.e. including scones, using small portions, etc. instead of parties with tea. Thanks, again, Lara, for your comment. Anyone else want to add their thoughts and observations? 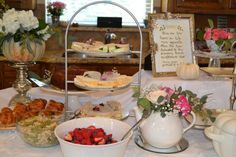 I have a bit of rebel in my nature, so I love to push the boundaries of what defines a “tea party.” Examples: Last 4th of July (2006), I had a “tea party” picnic at a winery. We happily sipped both wine and tea and compared the virtues of both. We ate scones and fresh produce and had a marvelous time. 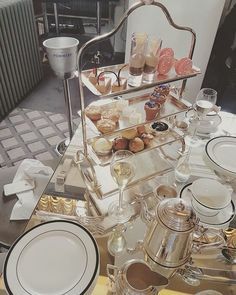 I’m thinking of planning a tea cocktail party – where the beverages are tea cocktails and other non-alcoholic tea punches, served with fresh crudites and other finger foods. I think it’s time to move the tea-party concept along with the times. 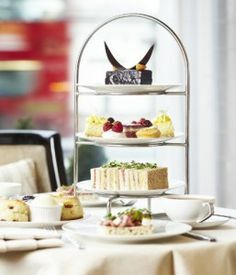 There’s always a place for traditional teas, and there’s a place for new concepts, too!